The collared Lew MDI features a labyrinth groove banding intended to prevent gingival migration. 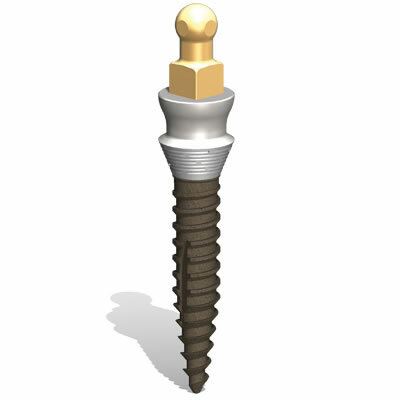 The platform switch design also allows connecting gingival tissue to contract during healing and form a seal around the neck of the implant. The collared Lew MDI is most appropriate for use in patients with at least 2.5 mm of gingival tissue thickness. It is available in both the 2.0 mm and 2.5 mm diameters and in lengths of 10 mm, 11 mm, 13 mm, 15 mm and 17 mm.